In June, work took me to Seoul for a week. You can bet I took the opportunity to visit some places that I'd missed on my trip there last summer! 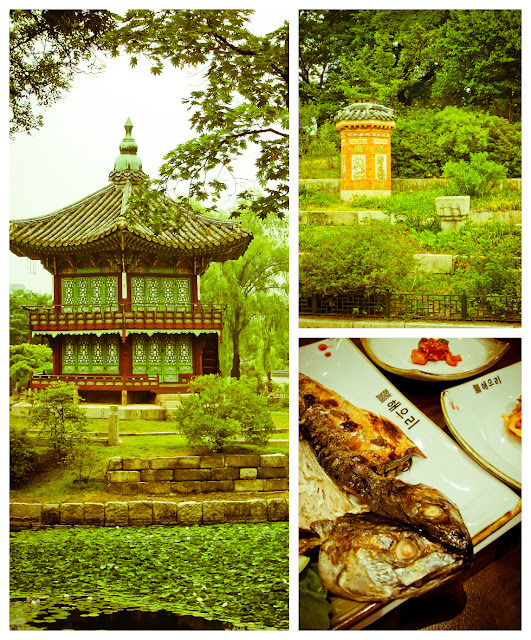 Besides seeing Chandeokgung and Jongmyo (hurray for getting to see a UNESCO world heritage site! ), I had the chance to spend a morning at Gyeongbokgung, a palace with extensive beautiful gardens but buildings sadly destroyed over the centuries and now in various stages of reconstruction. The cool, overcast weather was a welcome relief from the soaring temperatures even at that point in early summer, and I had a lovely time walking through the gardens and seeing some of Korea's national treasures, like the chimneys of Amisan. Afterwards, I stopped by a little restaurant tucked away in a quiet corner near the Samcheong-ro and Sajik-ro intersection and enjoyed a fantastic 해초고등어 (haecho godeung-eo) set lunch of broiled mackerel and fresh sea plants (plus the customary assortment of kimchi and side dishes). Wow, that meal was definitely one for the books--I'd say it ranks among my top favorites from the whole summer I've spent here in Korea. The ajumma serving my meal showed me how best to enjoy the food. 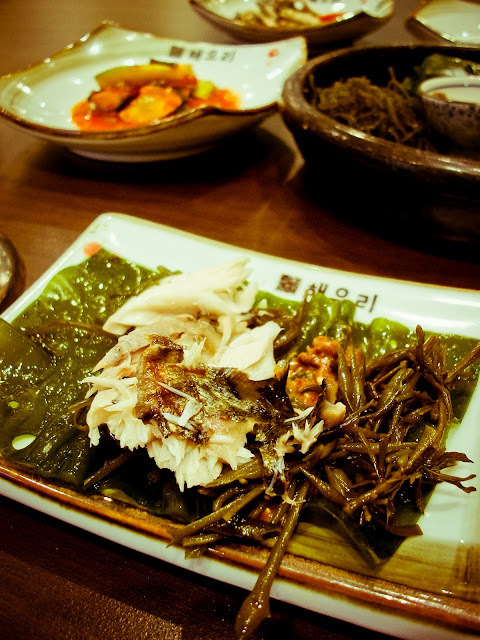 First you place a wide piece of 쇠미역 (soi-miyeok, seaweed) on the plate and add a dab of 전어젓갈 (jeon-eo jeotgal, salted and fermented shad paste), then a few pieces of 꼬시래기 and 톳 (kkosiraegi and tot, delicate types of seaweed), followed by a chunk of the 고등어 (godeung-eo, mackerel). Then you roll it up with your chopsticks and eat the bundle in one satisfying big bite! Such a perfect lunch after a long morning of walking through the Gyeongbokgung palace and gardens! 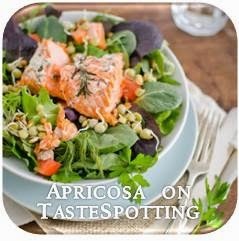 Munching on the healthy vegetables (both from land and from sea) and the deliciously savory broiled mackerel, I sat there in peaceful contentedness on my floor mat at the low table--shoes off, of course--and I couldn't have been happier. Well, perhaps I could have, with the addition of a few select loved ones to share the joy of the meal with me! Since none of you were able to sit down to the meal together with me, I made sure to ask the ajumma all the details of what was on the table, so I could tell you about it. Here's what was for lunch! 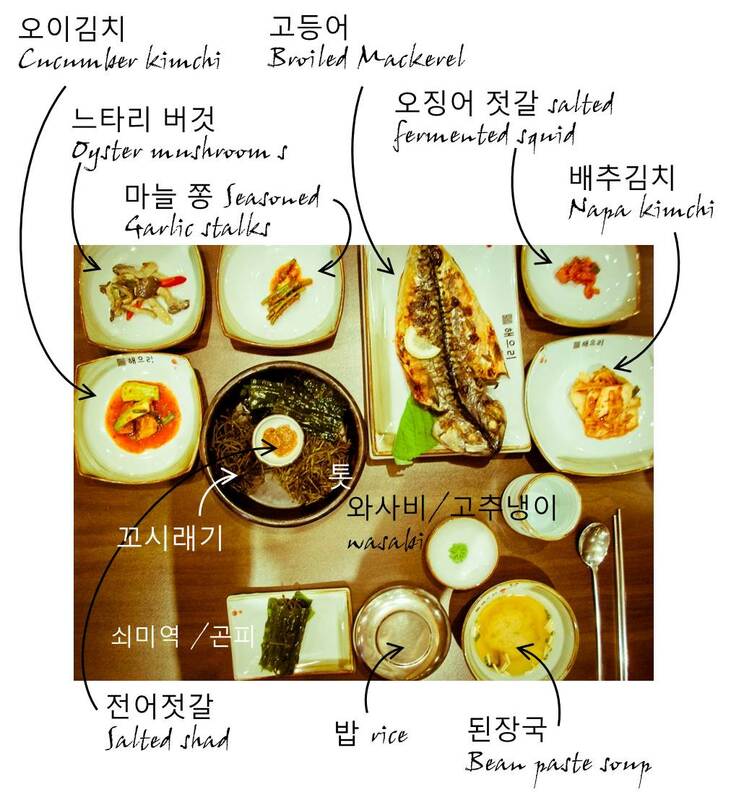 If you're ever in the neighborhood, check out Restaurant "HaeWooRi" (해우리) at 대한민국 서울특별시 종로구 중학동 14. This 해초고등어 (haecho godeungeo) set lunch was 11,000 KRW. Such a loving post this..and you make it sound so yummy! Aish... if you post more of these Korean food posts, I'm gonna have to stop reading. I get so hungry afterwards!! !